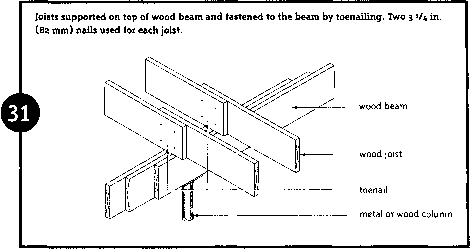 Where the heating system requires only small pipes for a supply-and-return system, pre-planning the structural framing layout to accommodate the pipes is not normally necessary. Baseboard-type convectors are usually selected and located under windows along outside walls. In this manner, warm air rising through the convector blankets the outside walls. Virtually no cutting of the studs or joists is required with this type of installation as the baseboard type of convector is positioned on the surface of the wall.